Vauxhall offers an outstanding selection of advanced in-car entertainment and navigation technologies that are sure to enhance every journey. Drive along listening to the music that takes your mood while the navigation guides you to your destination. Safely, thanks to the hands-free functions. 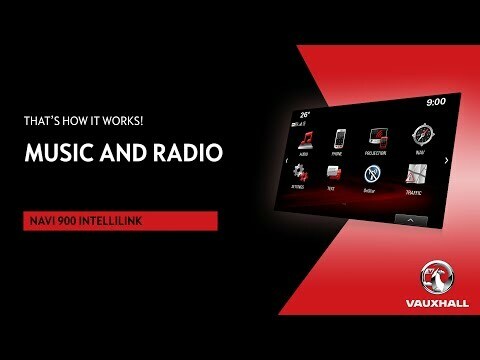 Watch the videos below to learn more about the range of infotainment systems provided by Vauxhall. 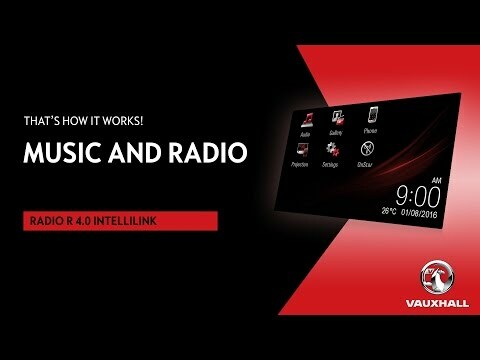 The new-generation IntelliLink infotainment system is the Navi 900 Intellilink, compatible with Apple CarPlay and Android Auto, and with a 7-inch colour touchscreen and Bluetooth connectivity as standard. Apple CarPlay puts key iPhone features on the vehicle’s display, allowing drivers to make calls, send and receive messages and listen to music, either from the touchscreen or by voice, via Siri.